As hinted by its name, the 5-inch Full HD Lenovo K6 Power raises the K6's power bar from 3000mAh to 4000mAh, consequently promising up to 48 hours (2880 minutes) of continuous talk time, yet lasting only 312 hours on standby. 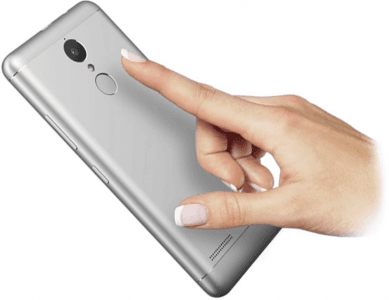 The rest of its specifications include a 1.4GHz eight-core Snapdragon 430 processor coupled with 3GB of RAM and a 13-megapixel FHD-video main camera with phase-detection autofocus (PDAF). It also has a fingerprint sensor, which was somewhat a staple facet in the high-end department when it came out. Additionally, it offers an 8-megapixel fixed-focus selfie cam, a Dolby-Atmos-enhanced audio system, and 32GB of internal memory. Just like the other two K6 variants, the K6 Power is available in gold, dark gray, and silver. Pros and Cons Review The octa-core-powered K6 Power bumps the plain K6's 3000mAh power cap up to 4000mAh, but it awkwardly scores a sub-average 312-hour standby time. We unveil the remainder of its pros and cons in this technical analysis. (more) Compare Side-by-SideCompare it with similar phones. 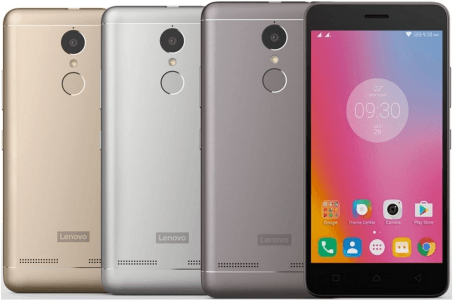 More Lenovo phones See all the new Lenovo phones.